February 4, 2019 - Messages of Kindness – this was what was on the mind of students at Hort Elementary School as they created get well cards for patients at Bakersfield Memorial Hospital. 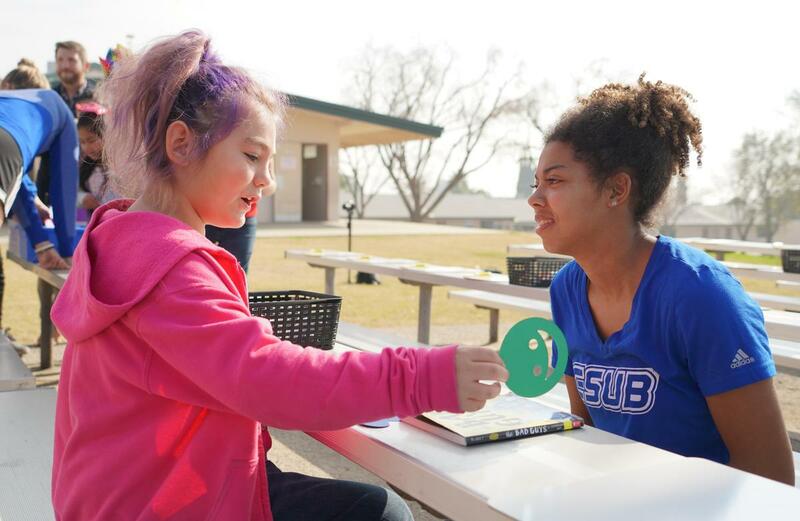 The activity was held in partnership with Dignity Health and CSUB Athletics to promote peace and love throughout Kindness Week, which was celebrated January 28-February 1. “It really makes me feel good to do this. 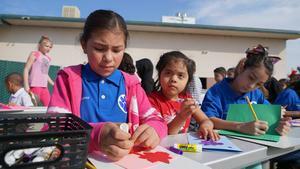 People in the hospital need to know that others care for them and want them to get better,” said Estrella, student at Hort. The cards are intended to promote mental well-being for a variety of patients including, pediatric, cancer and those under cardiac care. 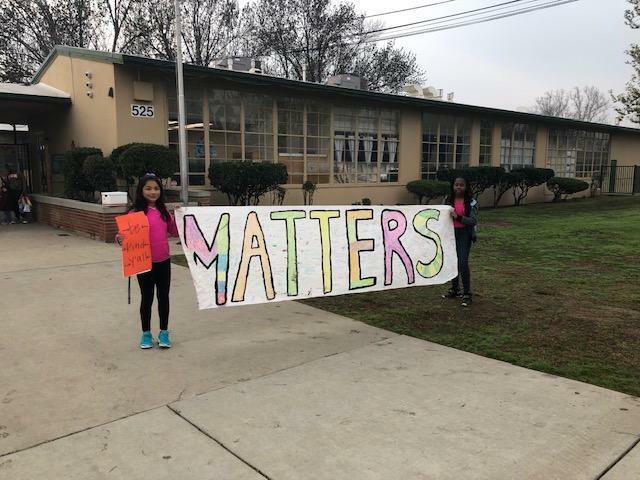 The idea behind the event is to encourage students to participate in showing acts of kindness in their daily lives. 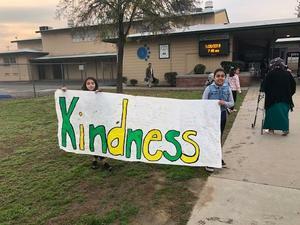 “The earlier you teach young people about kindness and showing acts of kindness the more well-rounded adults they will become,” said Dalia Barron, Bilingual Clerk at Hort Elementary. 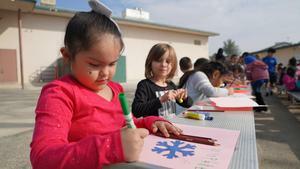 The week’s events at Hort also included several dress-up days. 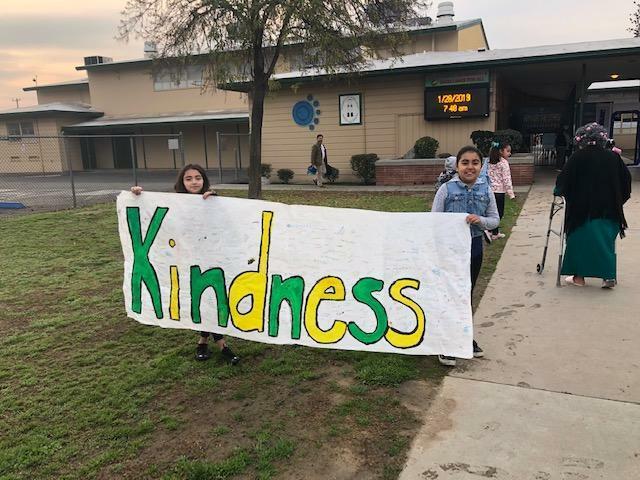 Students wore a variety of themes throughout the week, including wearing bright colors, Kindness Rocks, Hats off to Kindness and Crazy for Kindness. 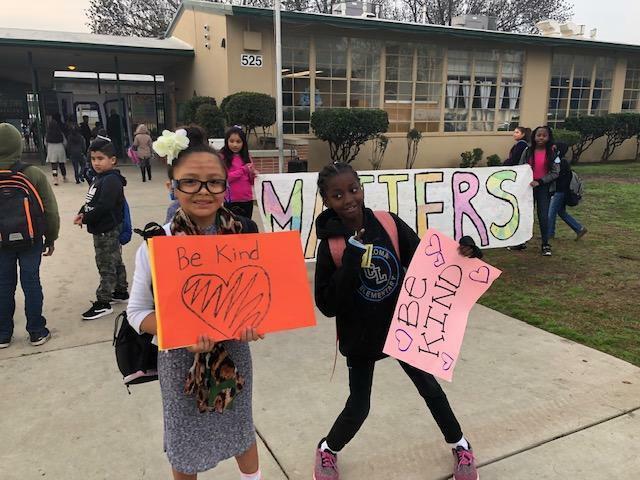 Other BCSD schools also celebrated Kindness Week, including Casa Loma Elementary, where students dressed up in their Pajamas for “Dream of Kindess Day” as they wrote Friendship Grams to other students, teachers, and staff.